Social media is game changing for corporations. The social web, as a communications medium, presents significant new challenges and opportunities. What should companies be listening for online? What data should we collect? How do we respond to what we find? How do we track & measure our effectiveness? 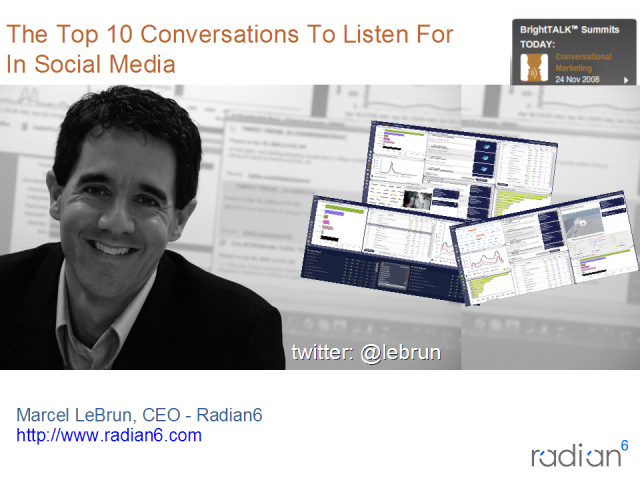 Marcel LeBrun from Radian6 will discuss on how companies can get started with the top 10 types of conversations to listen for and how to engage with them.